99 days. [Heirloom sent to us from R.C. Mauldin of the Southwestern Seed Service Lab in Waco, TX. Reintroduced by SESE 1997.] One of the earliest sweet canes introduced to American agriculture. Not as sweet as other syrup sorghums. As a silage crop it has the hay and wild game quality of ‘Merit.’ A good intercrop with beans and peas. 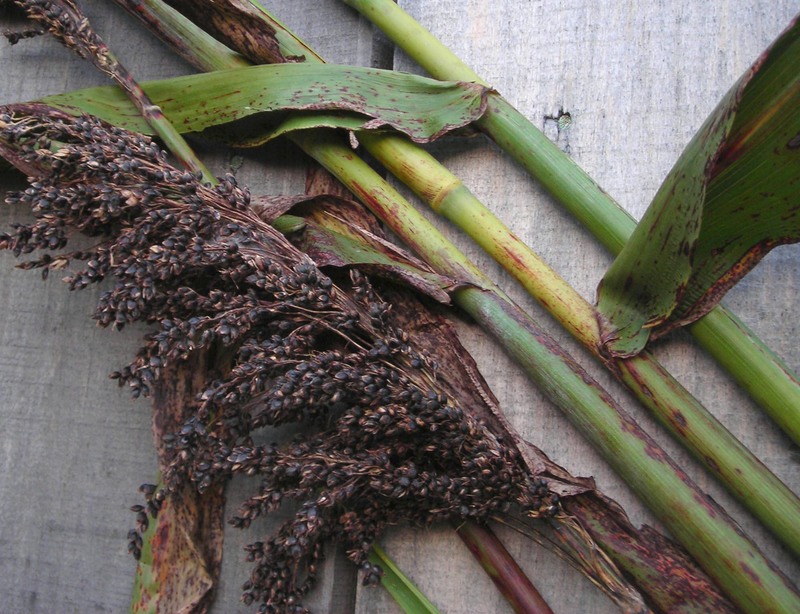 8-9 ft. stalks, loose heads of shiny black seeds are grown by many folks for their chickens. Pkt (7 g, about 350 seeds). Our Grain Growing Guide covers Amaranth, Rice, and Sorghum. See variety descriptions for other crops on this page. Corn is listed separately from these grains. Seed for grain corn can be found here as dent, flint, and flour corn, as gourdseed corn, and as popcorn.